Hoffman Estates, IL – KSI Auto Parts has contributed over $250,000 in financial and in-kind support for collision repair schools through the Collision Repair Education Foundation. 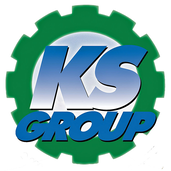 KSI contributed $25,000 to support the Foundation last year and initiated a program to donate parts to collision school programs. Through the parts donation program, they have contributed $240,000 in parts to schools. The monetary contribution assists Education Foundation’s ability to offer collision school tool and equipment grants and student scholarships across the U.S.